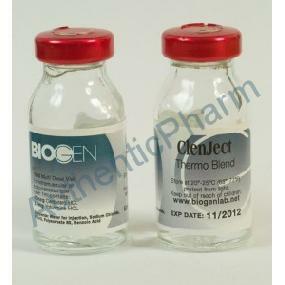 Each 1ml per 10ml Vial contains a blend of Clenbuterol HCL 0.40mcg/ml & Yohimbine HCL 5.4mg/ml. Inject straight into stubborn fat deposit for local fat loss Never go higher then 2ML per day or use with Products like Ephedrine hydrochloride. As this product is a blend of Clenbuterol HCL and Yohimbine HCL please refer to the relevant product's side effects page.